Our basic online ticketing support is available to all resellers. Chat support is available after tickets have been submitted and issues cannot be resolved via ticket. Please note the support plan fees available for each reseller package here. Sometimes you may need our engineering expertise in setting up your VoIP buiness in your local country with local gateway equipment and custom setup. Our consulting and engineering services provide VoIP services that can integrate with your existing phone systems. Whether you need to register a domain name, or get web hosting services for you website, you can do it yourself online budget hosting via our partner Genesis Tech. Our regular programming and web application development services are bid by project. Porta Billing VoIP Switch Soap Programming is available. Porta VoIP Switch Services (after initial setup) may include setting up of custom tariff plans, products, custom subcription or discount plans, invoice template setup, merchant services setup etc. Normally you will not need our assistance as the support we provide via ticket should be sufficient for you to set up the services yourself. We have an extensive knowledgebase. However if you need one to one custom training on select topics via web conferencing, we may charge additional fees per hour as needed. We may bill per custom incident support for customers who are not on our Porta Switch Support Plan. This is after initial setup is complete and upon your approval. We provide custom IVR configuration in own language for our Globalink IVR calling card services. A bid will be given. 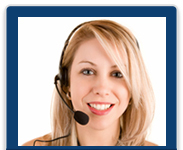 We provide Porta UM callback IVR configuration. A bid will be given. Additional features can be added. Example:- Automatic Callback Registration by customer using voucher numbers. Upon Accounting approval, the international did API can be enabled. US did application is usually enabled by default for those using our reseller plans at no additional charge. Resellers can order dids or phone numbers in their reseller control panel and it will be provisioned instantly.